An Online Course In Awakening Your Healing Capacities. This is a course that will enable you to express your healing capacities in the most simple and natural way. It introduces you to how to use your hands’ healing capacities and how to open the flow of divine healing energies through you. Professional Training will help you develop and expand your healing capacities with an eye on working with clients. When you begin working as an independent healer and you are receiving your own clients, you are the one who essentially sets the agenda for the healing sessions. September 14-15, October 19-20, and December 7-8, 2019. The Ka body is our divine double, and opening the Ka channels enables you to become the living embodiment of your Higher Self expressed through your physical form. Dates to be announced. Read about Gary's and Ulla's journey into the Namibian desert and their return to Table Mountain on Facebook [ https://www.facebook.com/gary.kendall.1029 ]. Alvaret, Öland, Sweden. June 13-16, 2019. An island with beautiful nature. Goddess Antares comes once again activate the Unity Consciousness in us and on the planet! Glastonbury, England. September 25-29, 2019. We are guided by the Goddess Antares in anchoring Unity Consciousness. We prepare ourselves for a few days’ workshop with the help of the tools that Antares has given us. The last day we perform the anchoring at The Tor. The New Earth—we know it is coming. Something is coming. We can feel it stirring deep within our hearts. It is like a new sun rising up on the very edge of the horizon. Even if the light of this new sun has not touched our skin, our eyes sense its illumination in the periphery of our vision. And we struggle to bring this something into clear focus—to see the outlines and to grasp its details of the great spiritual evolution that is on the horizon. 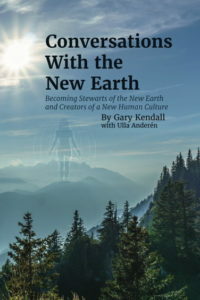 Discover the personal meditations and self-healing practices that help you to build your personal connection to the New Earth. A fresh and moving new perspective on your healing and spiritual evolution! At the heart of this book are stories about the healings of people who have found a way to break through the persistent obstacles in their lives and to step into a different relationship with their identity and their spiritual life. This book inspires the kind of insights and experiences that will take you to a place of greater security and optimism on your spiritual path. 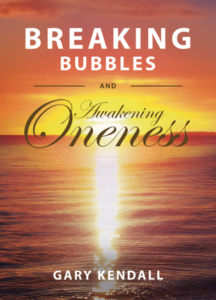 Visit the 'Breaking Bubbles' website for more about this book.